Bill on incitement to violence against animals submitted to Russian parliament | Russian Legal Information Agency (RAPSI). 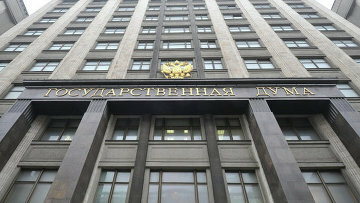 MOSCOW, April 8 (RAPSI) – A bill proposing penalties for incitement to violence and justification of violence against animals has been submitted to Russia's lower house of parliament, the State Duma, RIA Novosti reported on Wednesday. Public incitement to violence against animals is defined as encouraging others to commit violence against animals in any form – oral, written, through the use of equipment and telecommunication systems, including the Internet and the production, use and distribution of videos, photos and audio materials. Public justification of violence against animals is defined as public statements describing such treatment of animals as proper behavior that should be supported or emulated. There are Internet websites, online communities, social networking groups and blogs that describe or provide videos of acts of violence against animals, including sadistic murder, a note to the bill says. The so-called dog hunters encourage people to kill homeless animals and explain how to do it. The bill proposes fines for incitement to violence against animals ranging between 5,000 and 10,000 rubles ($90-$180) for individuals, 10,000-15,000 rubles ($180-$270) for officials and 30,000 to 50,000 rubles ($540-$900) for businesses. 17:34 08/04/2015 A bill proposing penalties for incitement to violence and justification of violence against animals has been submitted to Russia's lower house of parliament, the State Duma.